Nikita wanted to meet up for eats. She wanted to go for Indian, specifically a dosa. A what? If you've never had one, I don't blame you because there are not a whole lot of places to get one in the GVRD. Most people associate Butter Chicken, Naan and Tandoori Chicken as representative of the entire Indian cuisine. However, that is specific to the Punjab region in Northern India. 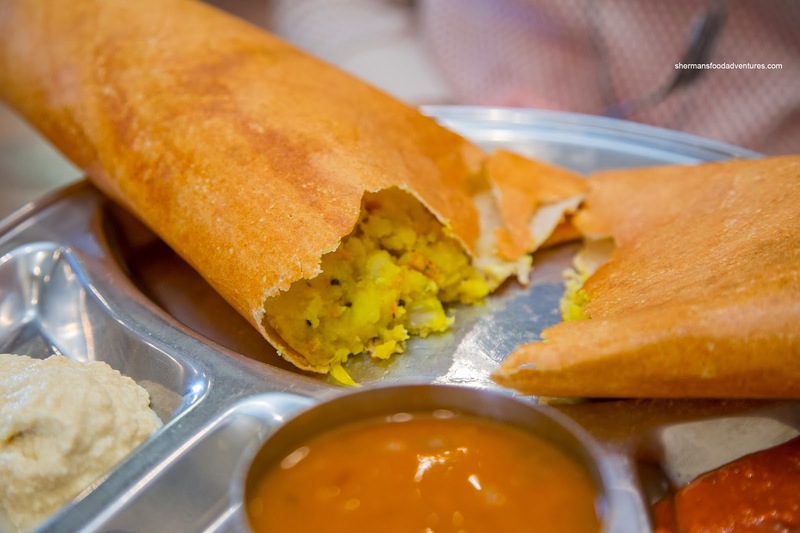 The dosa, which is a fermented lentil flour crepe, is mainly found in the South. These light and crispy crepes are often stuffed with a variety of fillings. 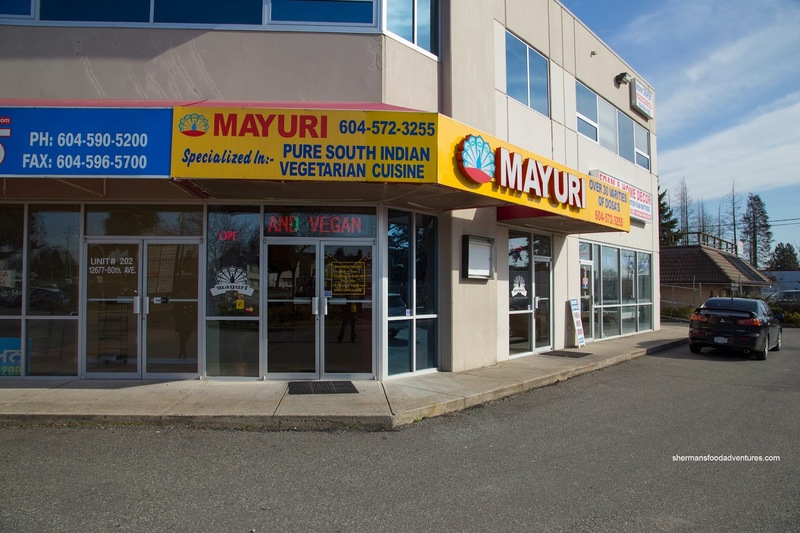 Ironically, we met up at Mayuri almost exactly 5 years since the last time we went. For kicks, we sat at a different table... Rebels that we are... So it was no surprise that Nikita ordered a Potato Curry Dosa served sambar along with coconut and zinger chutneys. Unlike our last visit (it was thick and chewy), the dosa was thin, light and crispy. It was very sparsely filled with a mild potato curry (need much more of it). We realize that there shouldn't be a tonne of filling, but this was almost non-existent. At least it wasn't very expensive. On the side, there sambar (lentil stew/soup) and the aforementioned chutneys. 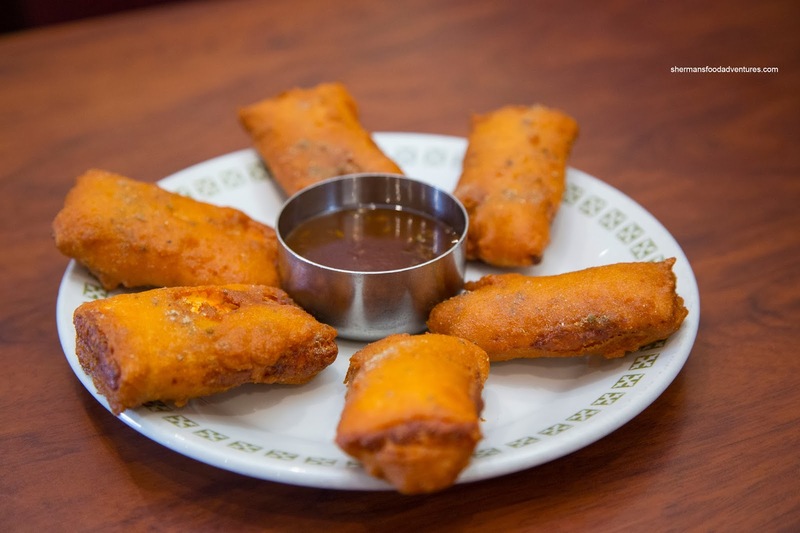 For myself, I started with an order of Paneer Pakora. These cheese patties were coated with a fairly thick chickpea flour which was crunchy and not heavy. It was a nice textural contrast to the soft paneer. The accompanying tamarind chutney was tart and only semi-sweet with a hint of fennel. I was only going to eat 2, but ended up eating 4. Probably not a good idea because they were pretty soaked with oil. 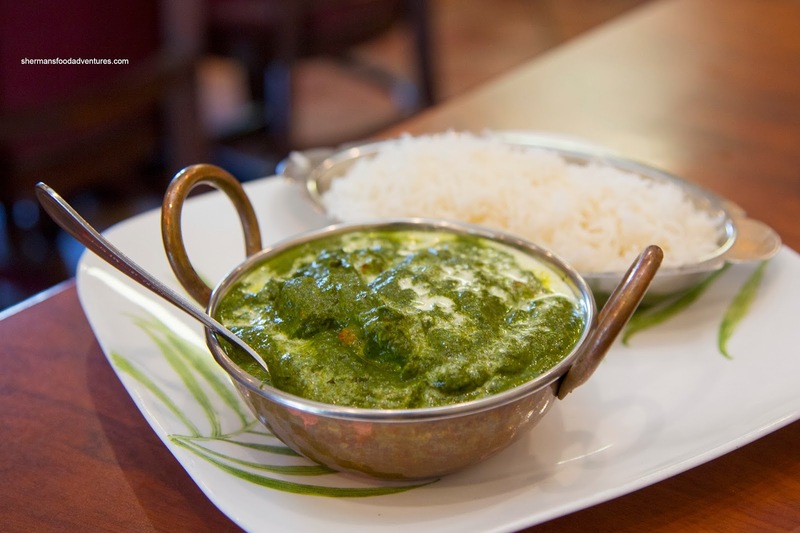 Second, I had the Palak Paneer which arrived a vibrant green. Hence, it was more spinach than creamy. We didn't mind it, but it was very light and watery (and bland too). The result was not the typical richness that we were used to. As you can see, our revisit was okay, but hardly memorable. 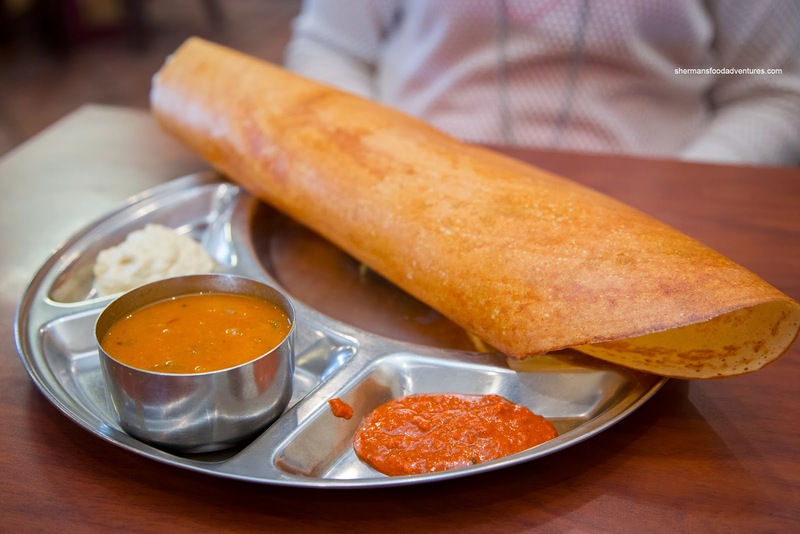 When at Mayuri, stick with the dosas, but order 2 because you might need it to be full.